Since we’re approaching the official start of summer, I thought it would be nice to look back at some of the Timber Frame structures VTW has put up in parks across the country. So look over this list and discover some parks where you can have fun outside as well as enjoy a beautiful Timber Frame this summer. The Shenandoah River State Park is located in Bentonville, VA. The park offers a picnic area, trails, river access and a boat launch for canoeing. There are also campsites and cabins. Vermont Timber Works constructed the Timber Frame for the Visitors Center where you can learn more about the ecology and the beauty of this large and beautiful park. At the White Mountain National Forest, you can find hiking, campgrounds as well as other fun outdoor activities. 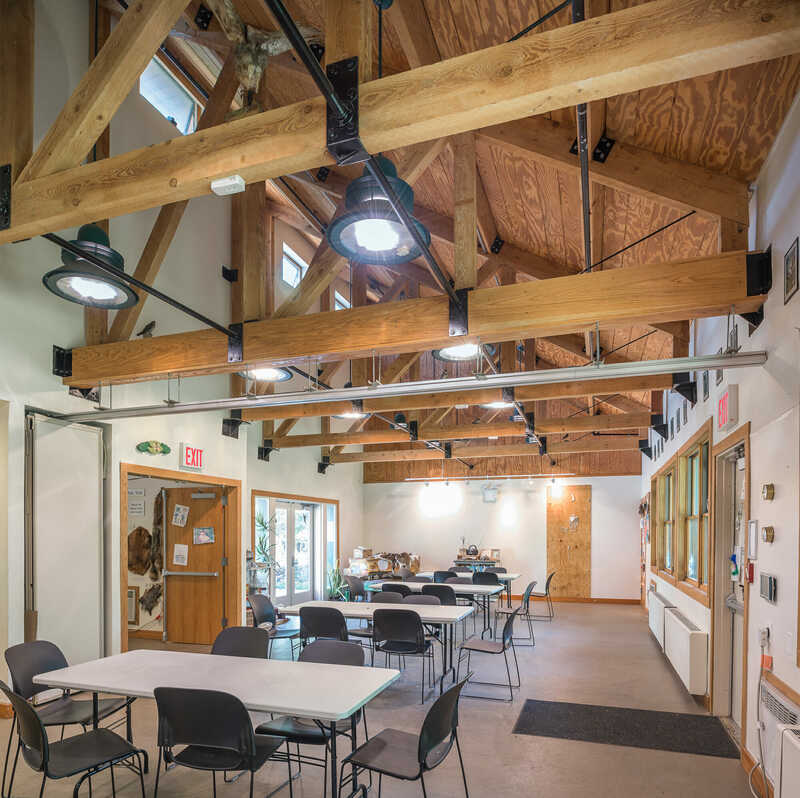 Vermont Timber Works fabricated the Timber Frame for the Forest Headquarters which is home to the Forest Supervisor’s office. 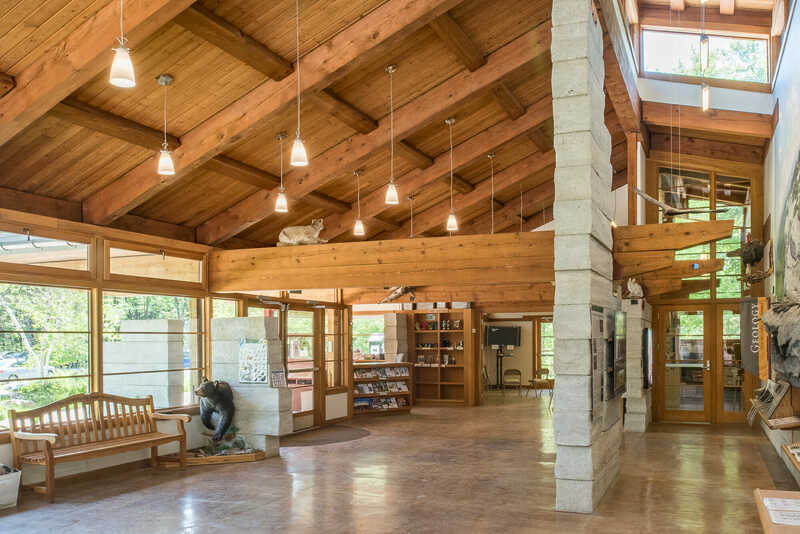 However, this building is open to visitors and you can get a wealth of information from the staff, purchase field guides and souvenirs and see the beautiful trusses that complement the gorgeous landscape. Cadwalader Park is located in Trenton, New Jersey. It is the area’s oldest park and it sits on 100 acres. The park has a stream, a lake, and many trees to enjoy. 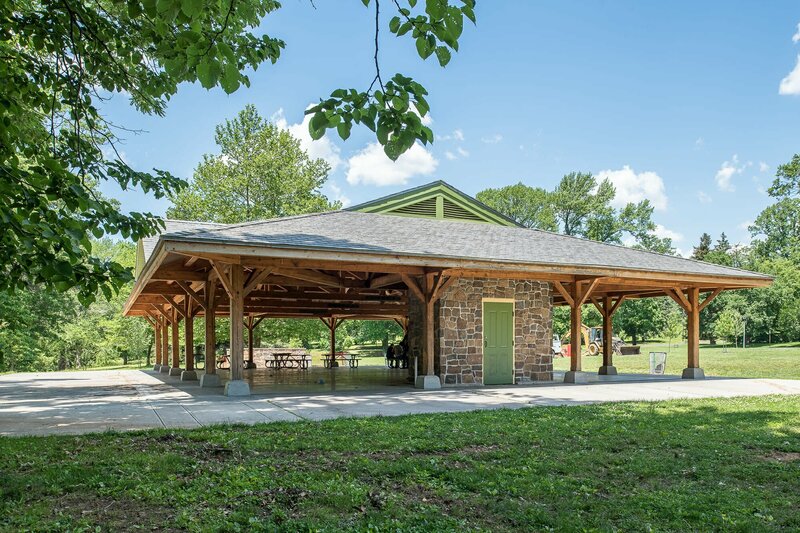 Vermont Timber Works constructed a timber frame picnic pavilion for the park so that visitors could enjoy lunches and snacks in the shade while enjoying the beauty of the park. 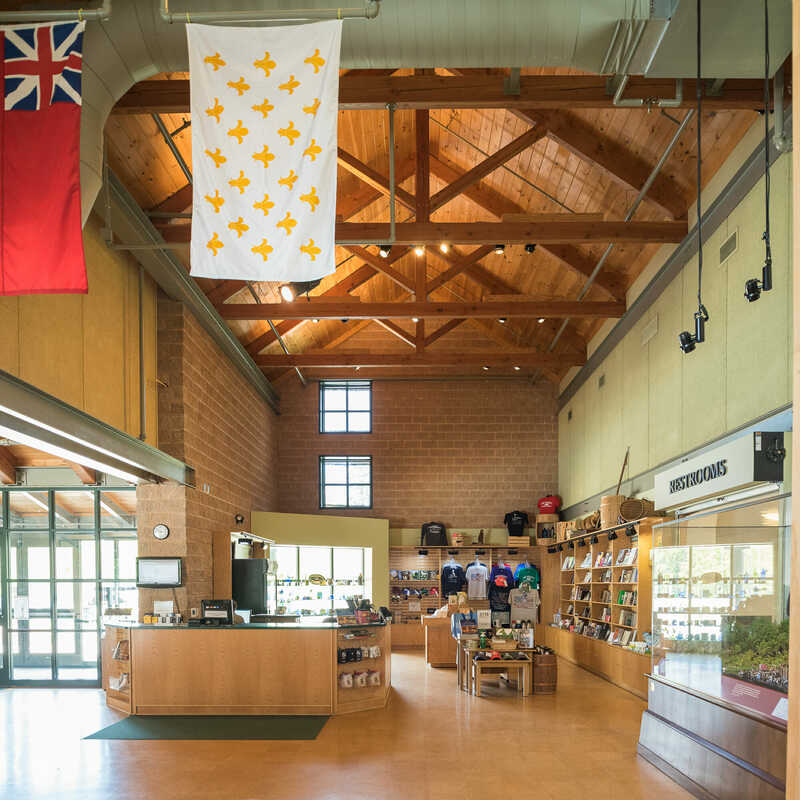 Fort Necessity is a national battlefield site in Farmington, PA. There are many activities available at Fort Necessity including tours, talks, and historic weapons demonstrations. The site includes a park with a picnic area. 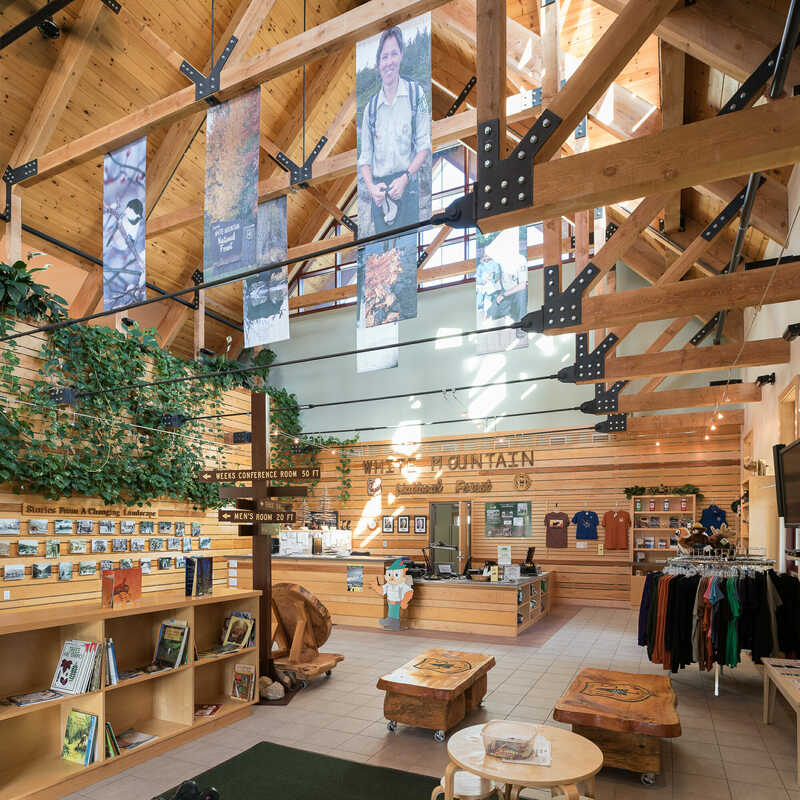 Vermont Timber Works fabricated the timber frame for the education center where there are historical exhibits and detailed information about the history of the site. Clay Pit Ponds is a state park preserve on Staten Island, NY. The Preserve has been established to protect a variety of natural habitats including wetlands, ponds, streams, and woodlands. Vermont Timber Works constructed the timber frame for the visitor’s center at Clay Pit Ponds where you can learn about the rich history of the Lenape, the earliest community of freed African Americans at Sandy Ground, and the clay-miners through historical artifacts. The park also offers a lot of activities for visitors to explore and learn about the native species of Staten Island. Citizen’s Park is an expansive park in Barrington, IL. There are trails including biking and running trails, a waterfall, and facilities for visitors to enjoy and even rent for private events. It’s a great place to bring the family and even your dog. Vermont Timber Works constructed Gazebos, Shelters, Pavilions and an Amphitheater for the park. Lake Taghkanic State Park is in Ancram, NY. It has a beautiful lake where you can swim, grill or picnic, camp, boat, fish, and even hunt. 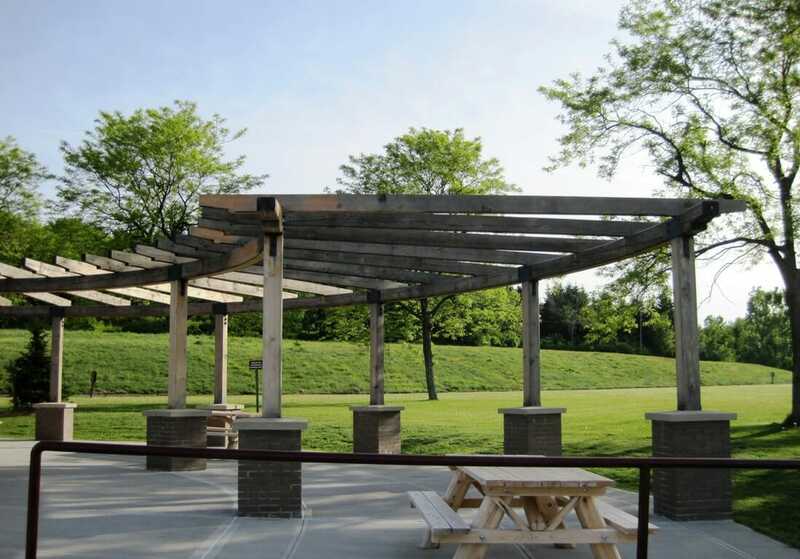 Vermont Timber Works constructed a Pergola, an Outdoor dining area, and a Timber frame park entrance. Sam’s Point is an area in the Minnewaska State Park Preserve in Cragsmoor, NY. It is a large park that contains rare trees and other plants, as well as lake Maratanza, caves, and a waterfall. There are beautiful trails and scenery to learn about and explore. Vermont Timber Works built the Timber Frame for the Visitor’s Center at Sam’s Point where you can go to learn more about the natural habitat and rest after your adventures. 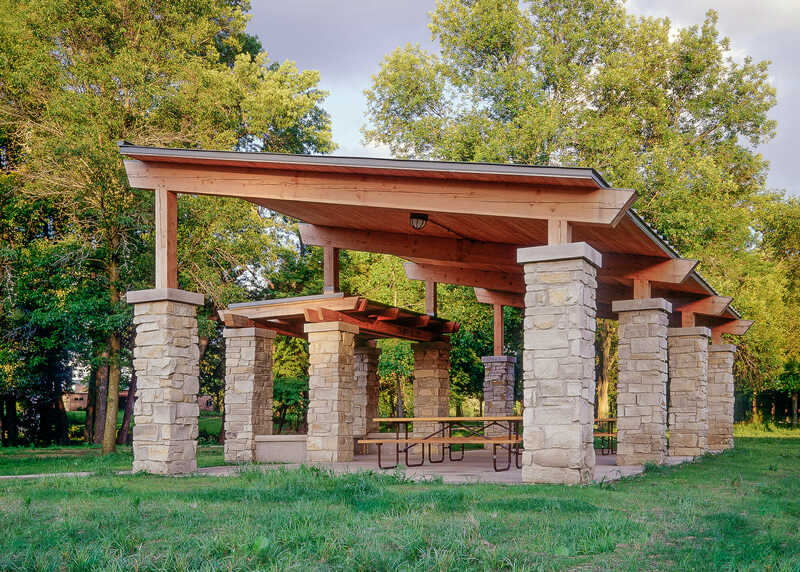 Timber Frame structures are a beautiful addition to any park, preserve or historical area. Get outside and take a trip to one of these parks near you! 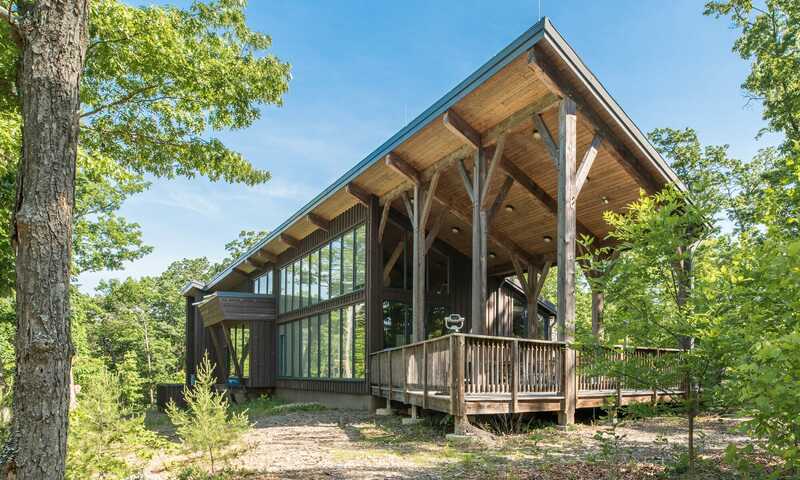 Interested in a Timber Frame Pavilion? Send us an email at sales@vermonttimberworks.com. Have a question? Submit your question on our Ask the Experts page. Interested in signing up for our monthly newsletter? Sign up here. park structures we have built over the years. Good job Catlin!